Our 2000-cache milestone was not far off, and we had a date planned/hoped for when we wanted to reach it, but we needed to get closer first. So we were out again, heading back close to Fleet again. On a warm, cloudy, muggy Saturday, we parked in the centre of Elvetham, a suburb of Fleet, unnoticed among the many shoppers. 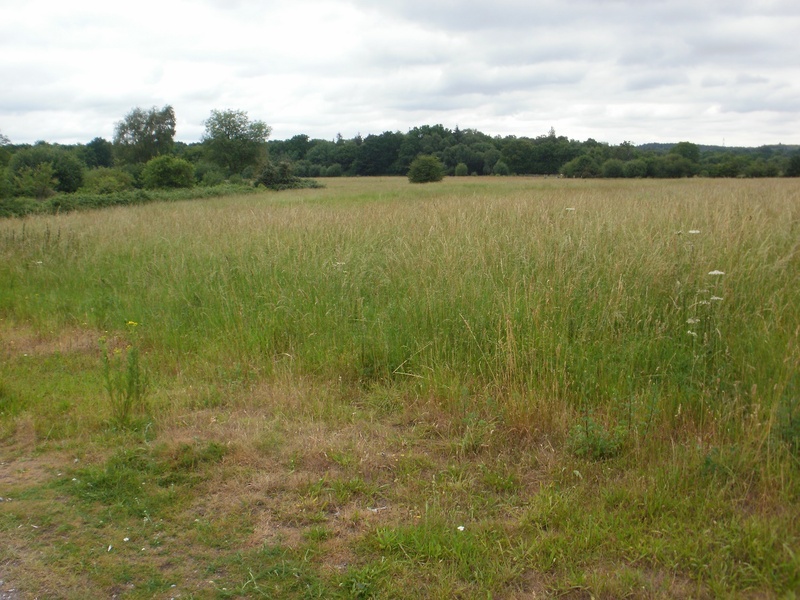 Our main objective was the ‘Nature Reserve’ series, placed in and around the many green spaces in Elvetham. But first, something different, neither green nor spacious, a cache from the ‘Off Yer Trolley’ series, which are based around supermarkets. 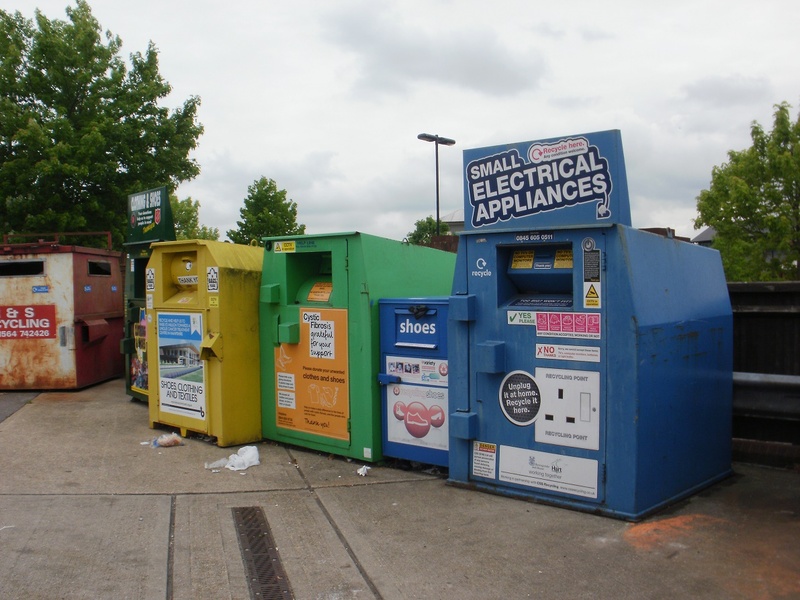 We followed the GPS to the likely location, which was … somewhere in the recycling area. We poked around behind metal bins and fences, and eventually found the cache, while getting puzzled glances from the man emptying the clothes recycling container. Now for the rest of the series. 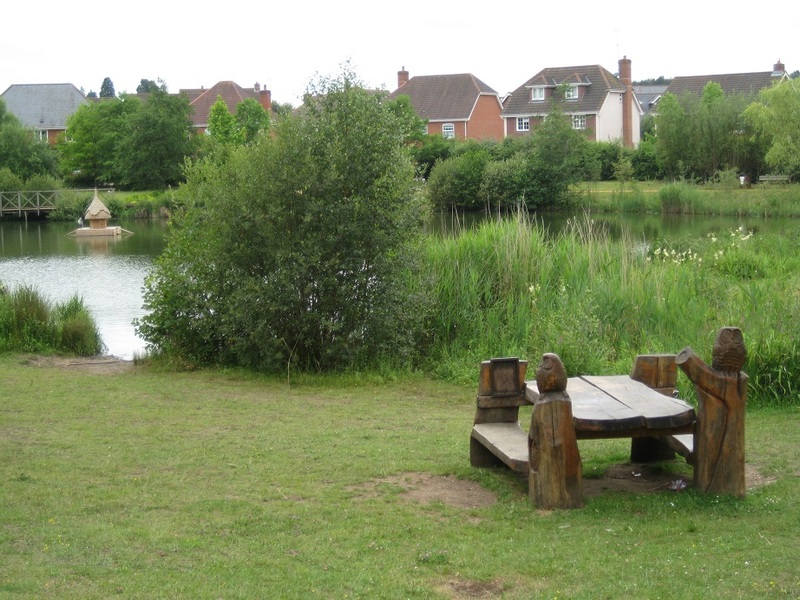 We set off past a small pond, with interesting carved picnic tables, through trees and along gravel paths and boardwalks over boggy areas. There were lots of muggles out and about, walking dogs, accompanying their scooter-riding children, and just taking the air. It was good to see it so well used, but it did make it harder to find an undisturbed moment to retrieve each cache as we arrived at it. After three successful finds, it all went wrong at the fourth cache, when we spent an unproductive few minutes furtling in the roots of birch trees and finding nothing. On again, we got closer to the M3, and it got noisier. 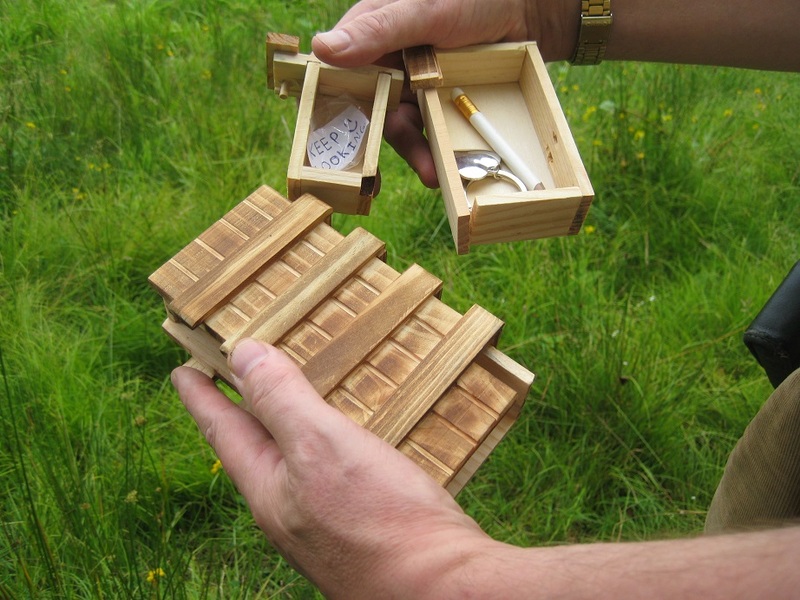 The next cache was called ‘Puzzle Box’ and a LOT of other finders had marked it as a favourite, so we felt it must have something special. 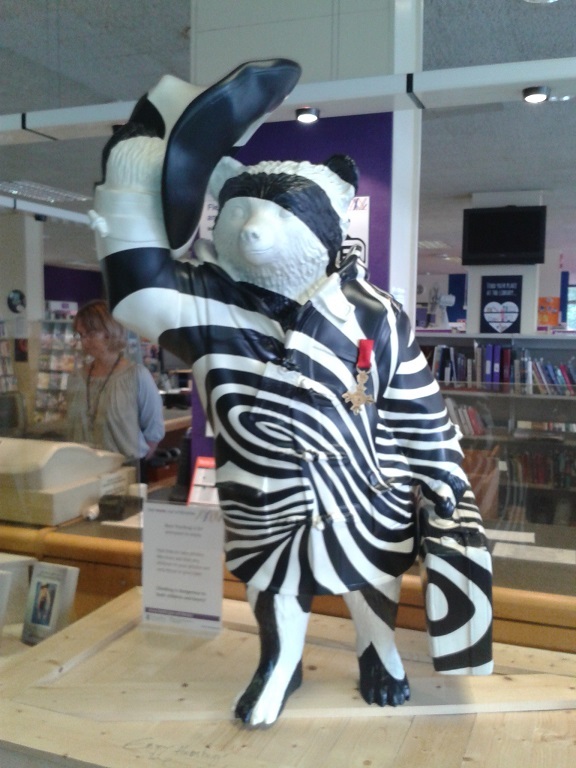 The other finders also said that the published co-ordinates were not quite right. Both of those comments were true: we spent another few minutes pootling about at the edge of some trees before finding – literally – a box which was a puzzle. After some false starts, sliding, and pressing, we finally made it to the inner place that held the log. 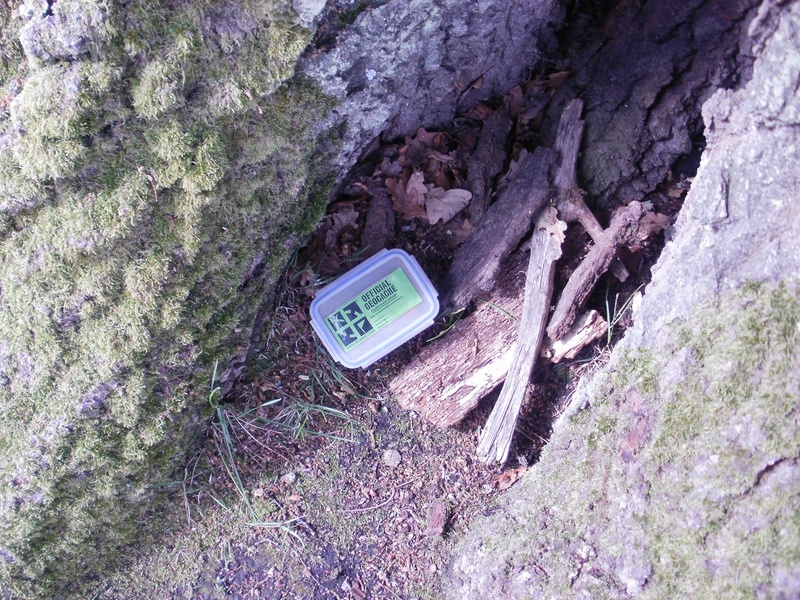 Ho hum: if we had known this cache existed, we might have set it up to be our milestone 2000th cache. 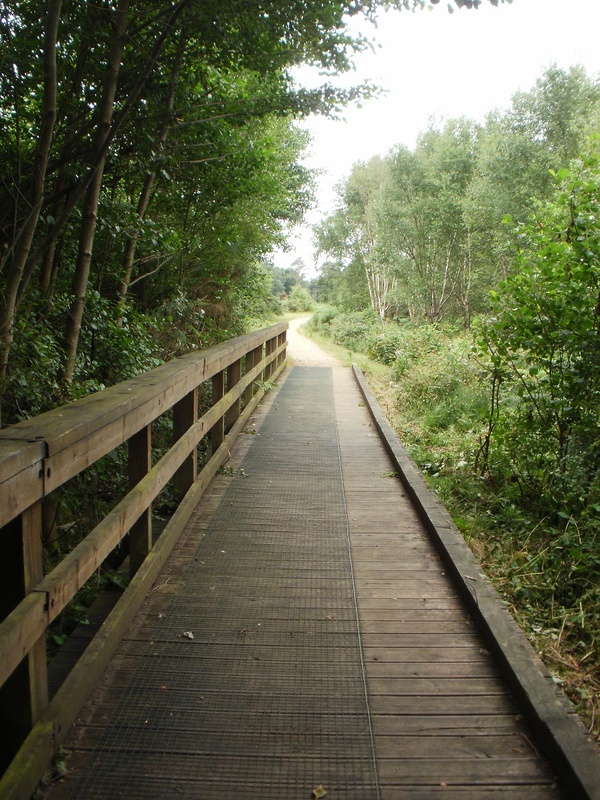 We walked on, past the edge of the nature reserve, away from the motorway, and back into roads and houses. Another cache was found. A previous cacher’s log said it all: “Easy for us, invisible to muggles”. A little further on, we approached another cache, named ‘Vertically Challenged’. Perfectly named, no way could I reach that! 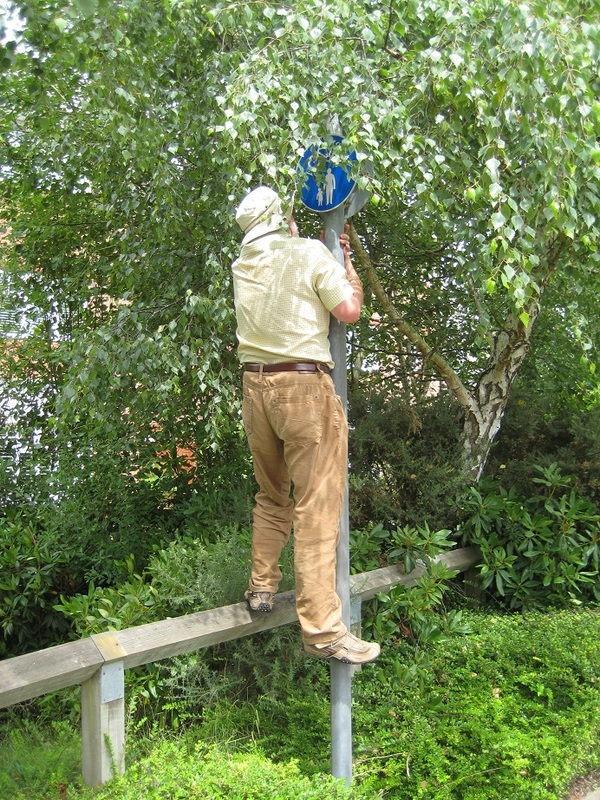 Mr Hg137 was delegated to swarm up a fence, and then a pole. At a stretch he just, just reached the cache container. 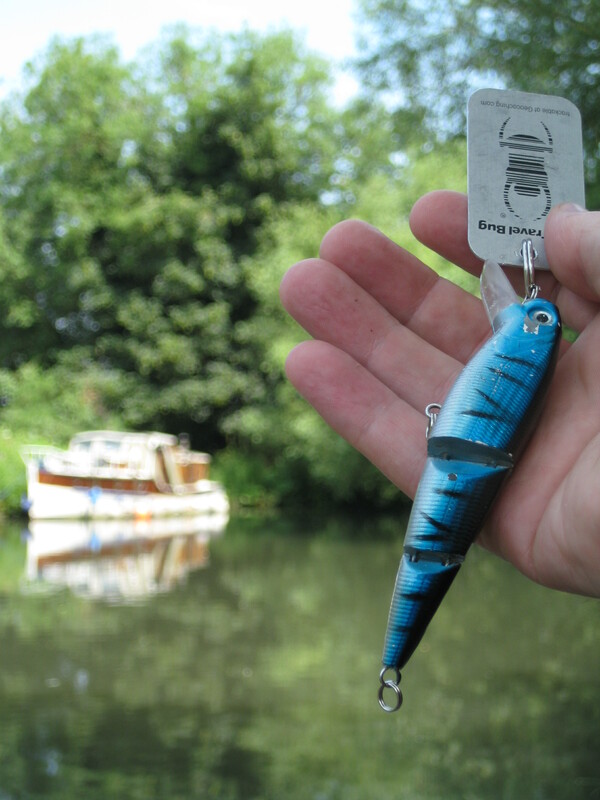 To sum up: it’s always sad to end on a failure, but overall this is an excellent little series with well-kept caches hidden in creative ways over surprisingly varied terrain, in yet another place close to where we live, but have never visited. Mrs HG137 had had an idea. 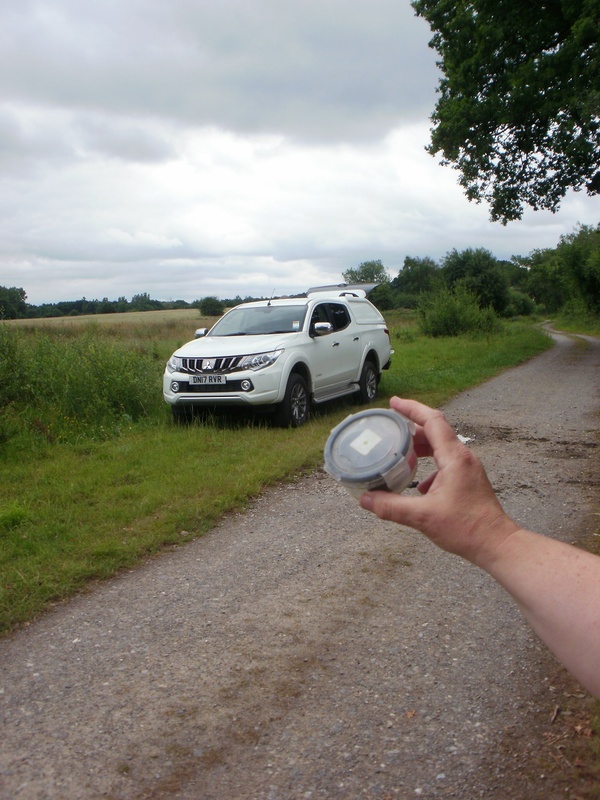 We were about 40 or so caches away from 2000 finds, and with 13 July (13/7) less than 2 weeks away, she thought it would be a good idea to see if we could get the 2000th cache on that date (our caching name includes 13 7). The route crosses Army land, and is occasionally ‘red flagged’ if the Army are on manoeuvres. 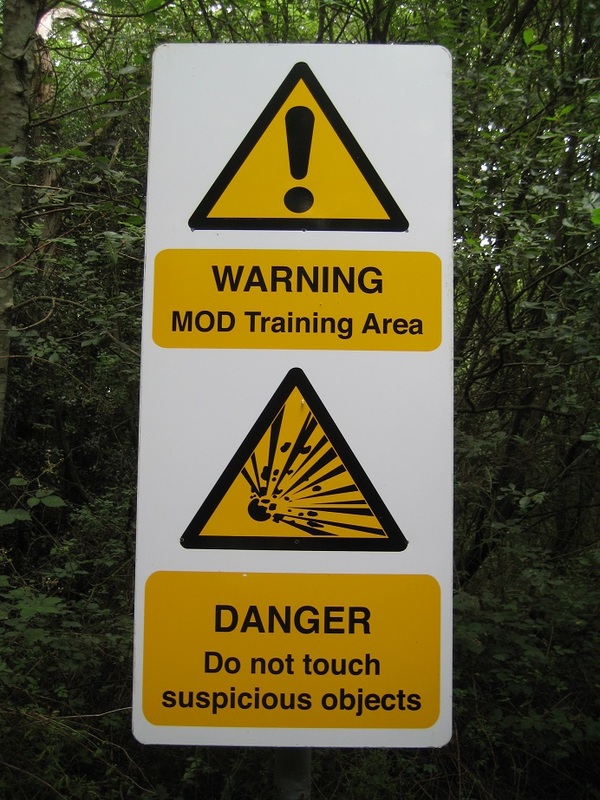 Fortunately for us, the Army were elsewhere, and the full route was open to us. We initially parked in an industrial park, and somehow managed to find a half mile longwinded route to cache 1, when a simple footpath was yards from our car. 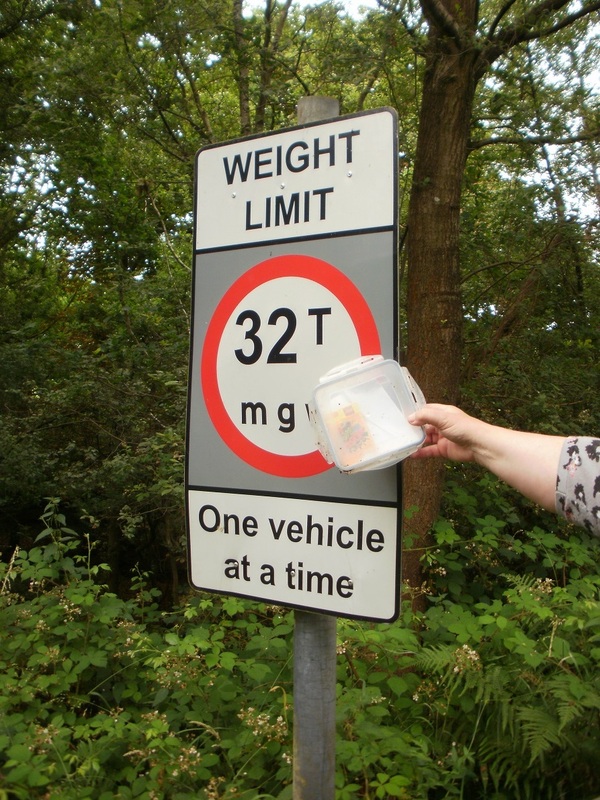 Cache 1 was behind a sign deep in some woodland. The log though had suffered in the rain and was very wet. We decided the remove the log, and leave it out (behind the sign) in the sun for the duration of our walk. 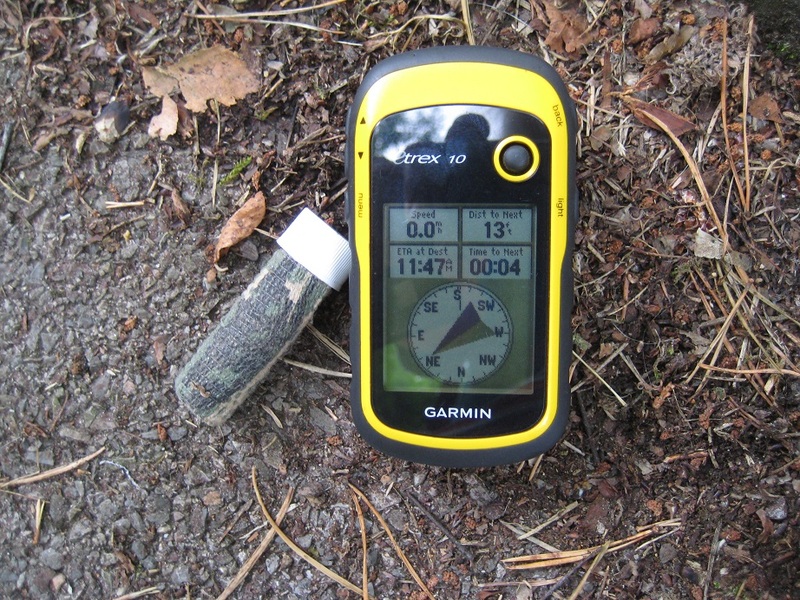 It was a Thursday, on a old circuit, so the chances of anyone else finding the cache today was very low indeed. Onwards (over the noisy M3 motorway) to cache 2 and just as we approached the site, we were surrounded by dog walkers. Diversionary activity needed! Out came a mobile phone and a fictitious phone call ! Maybe not an Oscar-winning performance, but definitely enough to give us time for the muggles to pass. 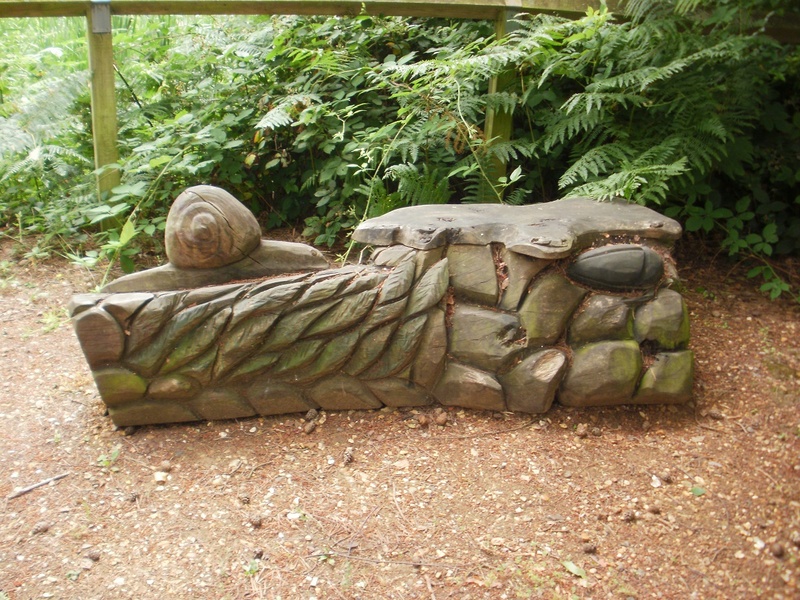 Then wrestle with a large cache and some small Armco before we could sign the log. The next 2 caches were a lot harder. They had been placed on the far side of a stream (fortunately fairly dry), but the stream was guarded by 4 foot stinging nettles! Swipe! Swipe! The caching pole was being used wisely! Swipe! Swipe! Jump! 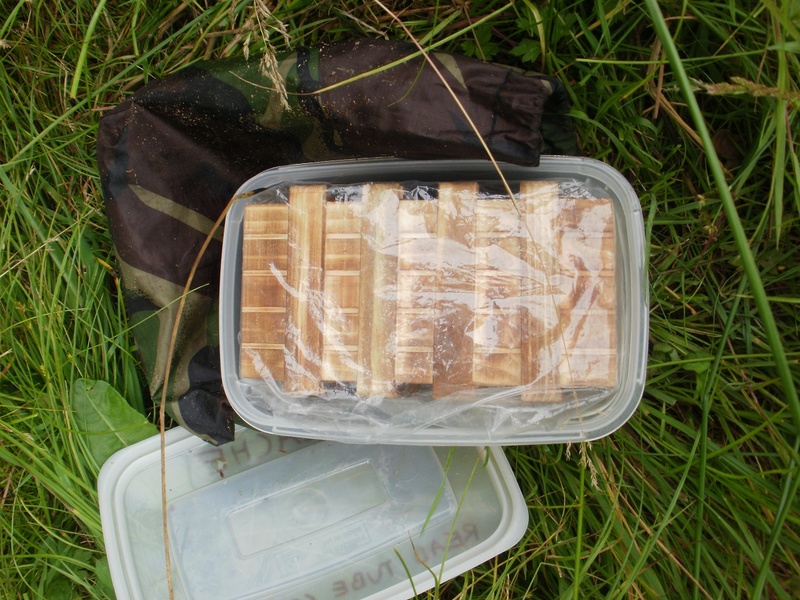 Caches retrieved, logs signed… now to jump back and avoid those nettles again! 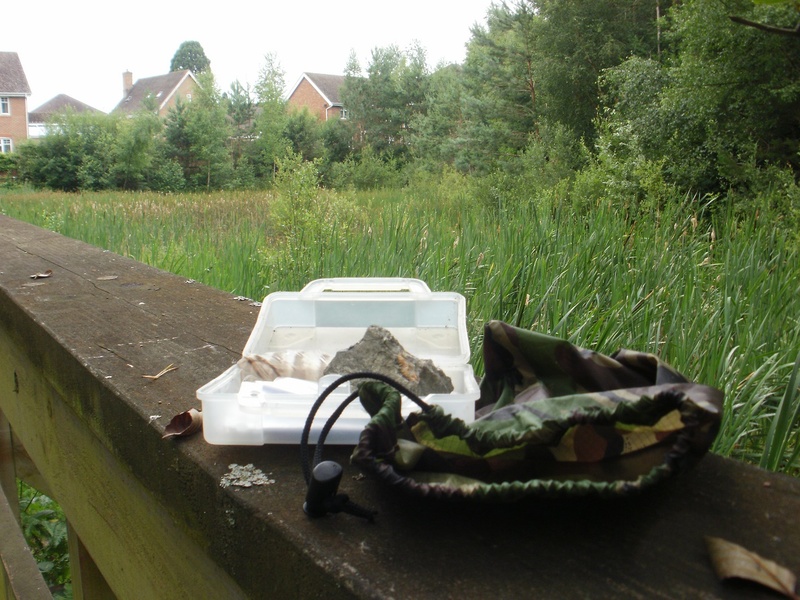 The next few caches were relatively straightforward, and to the trained eye visible from the path..It was searching for one these that Mr HG137 DID receive a phone call, so Mrs Hg137 did some sole retrieving and log signing! 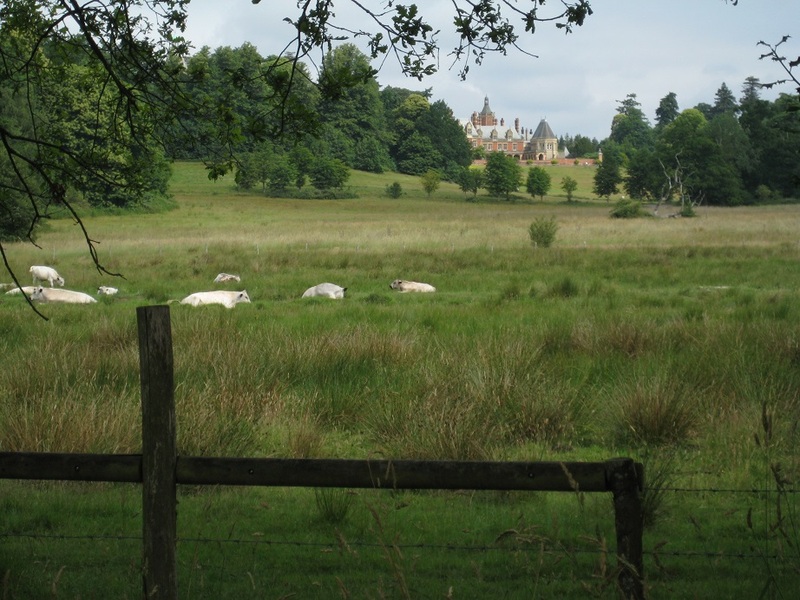 The path was easy going and the lightly woodland soon gave way to a magnificent view of Minley Manor. This building was once owned by the MOD, but is possibly being turned into a hotel. It has also been used as a film location on a couple of occasions. We walked onwards and suddenly the nice track gave way to grassland (or at least the most direct route to the next cache did). We made heavy weather of trying to find the right tree but eventually we did. We should, at this point, have walked back to the path, but instead we walked through a grassy meadow stopping for coffee on a large fallen tree-trunk. As we drank, we were aware of the myriad of butterflies visiting the meadow. A beautiful sight. 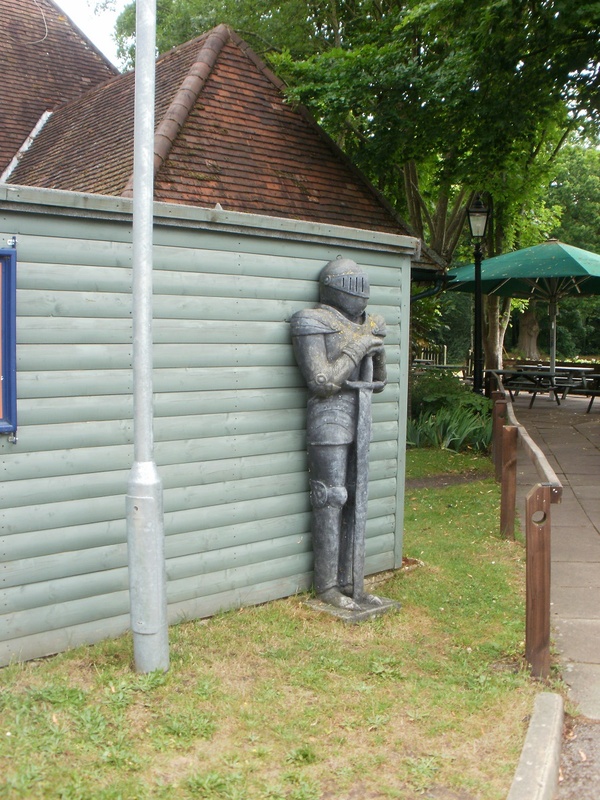 Our route out of the meadow led us up a slight hill, to an easy cache find, and then towards a pub where we found a another simple find (and a suit of armour!). Is this the pub’s bouncer ? We had walked 2 or so miles and now had our first road crossing. A fast single carriageway. A few minutes later we were in woodland, and the next cache didn’t take much searching as it had been poorly hidden by the previous finder. 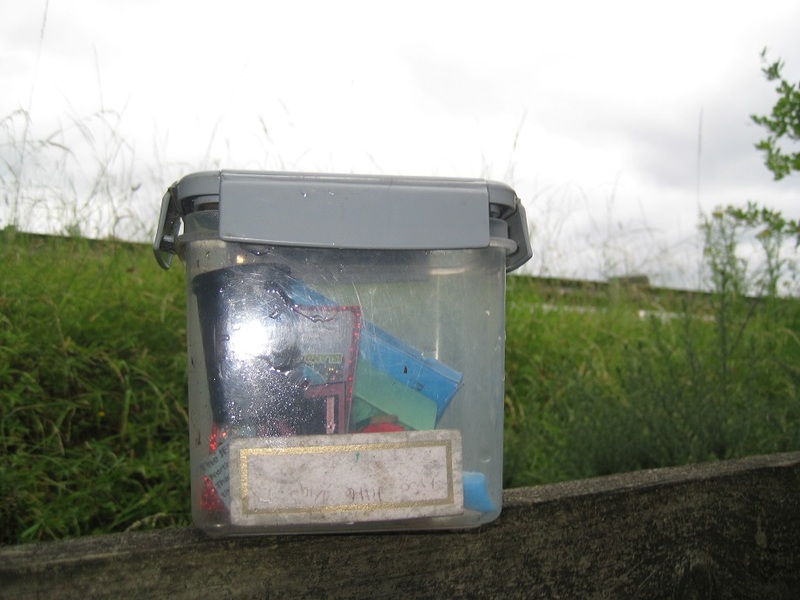 We then found our first non WWSW cache of the day – a Motorway Mayhem cache yards from the M3 Junction 4a. 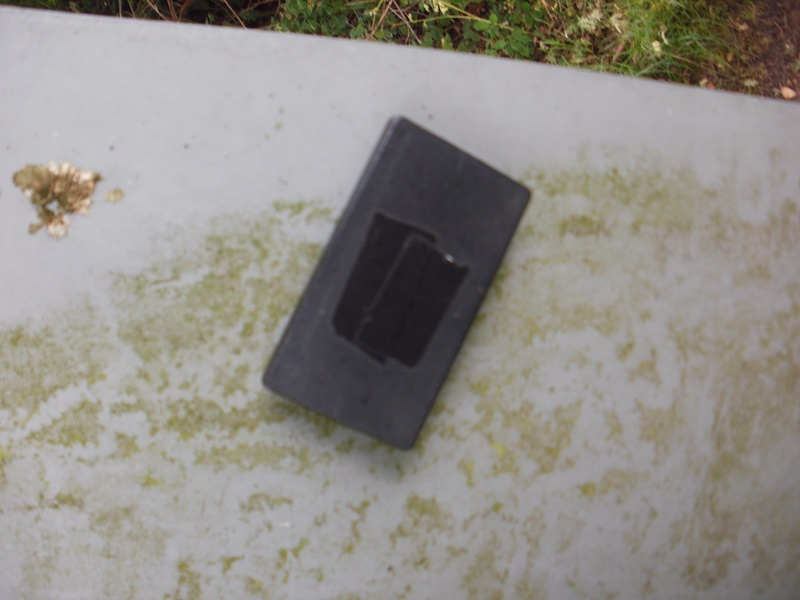 Over the years we’ve seen caches under twigs, leaves, bark but never under such a large piece of concrete! It took two of us to lift it! More effort at the next cache too..as it was 7ft up a post. 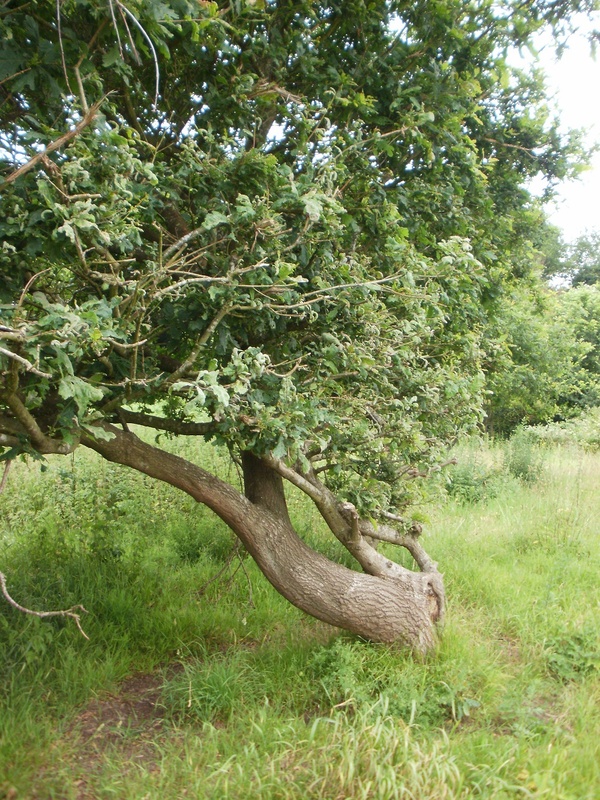 Mr HG137 was definitely getting a bending and stretching workout! We recrossed the M3, pausing to see a steam train being taken to a festival on the Watercress line. 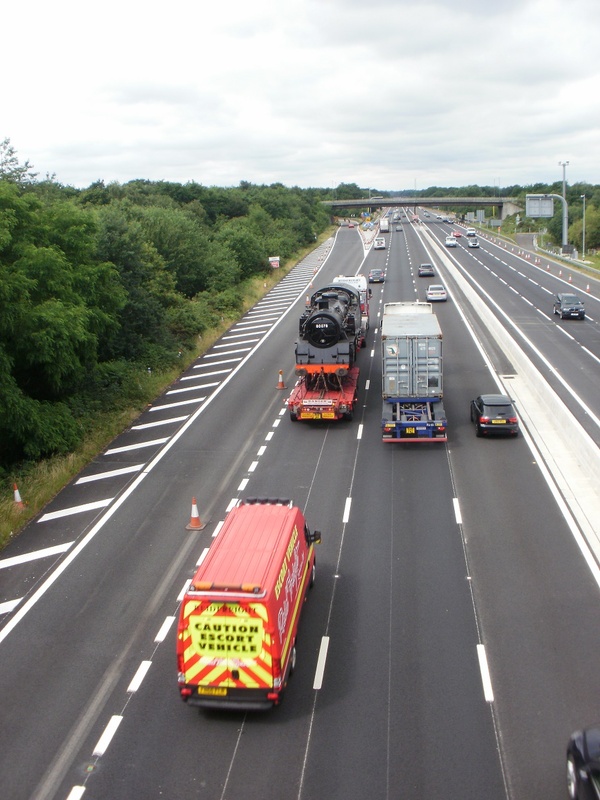 Yes, a steam train on a motorway! Our next cache was our first troublesome cache of the day. Hidden in Armco, but the coordinates were some 40 feet out. 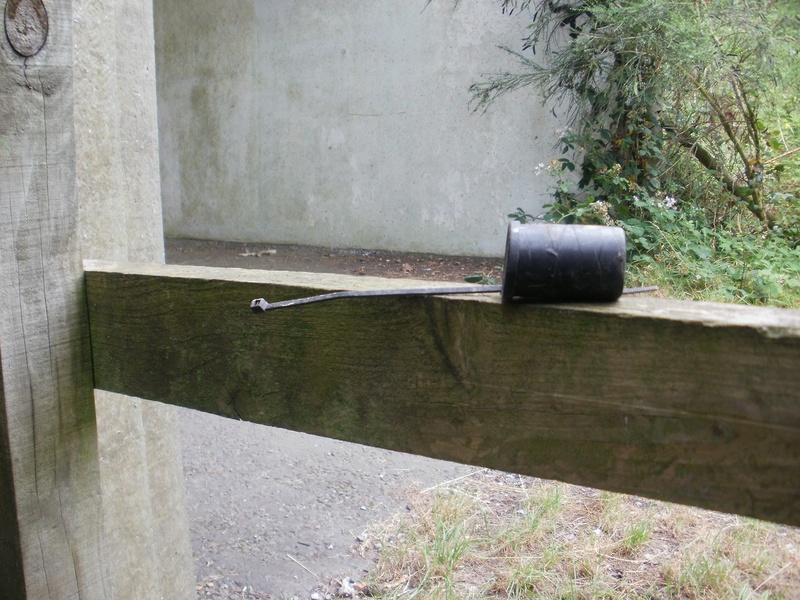 We both felt gingerly in various parts of the Armco – finding spiders, cobwebs, dust, grime until we found the cache. 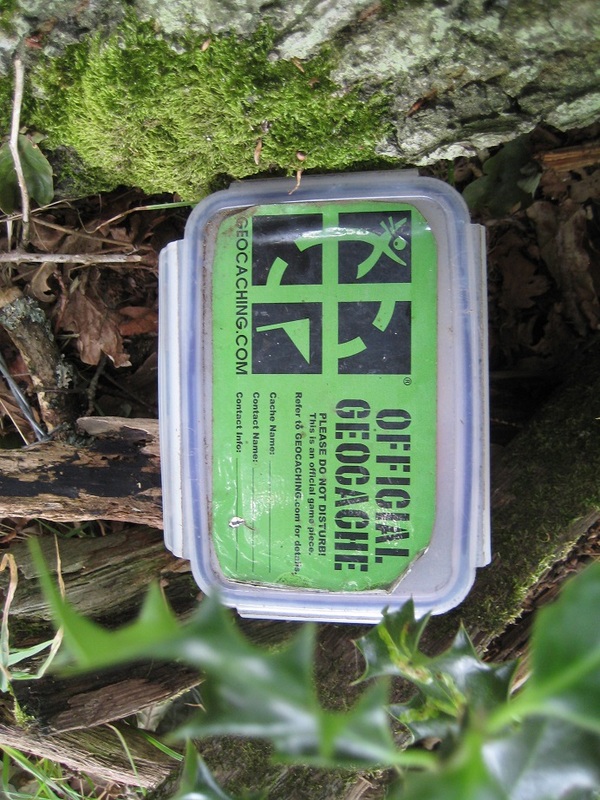 Finding caches like this, are often a ‘hard sell’ to the non-geocaching community! 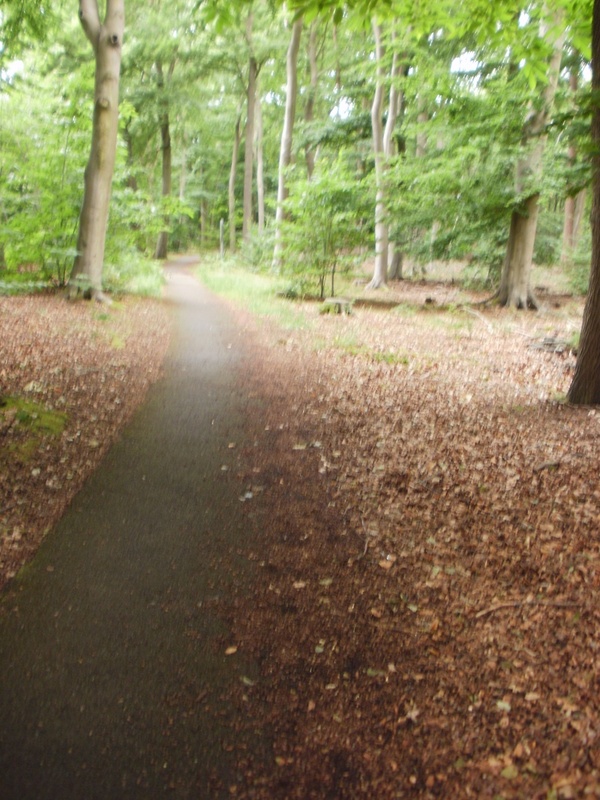 A pleasant path down a woodland path followed. Well it would have been pleasant, except for its proximity to the noisy M3. We grateful for some quick finds and after about a quarter of a mile or so, the path turned away and became quieter. Then we saw the digger. A JCB. On a footpath. 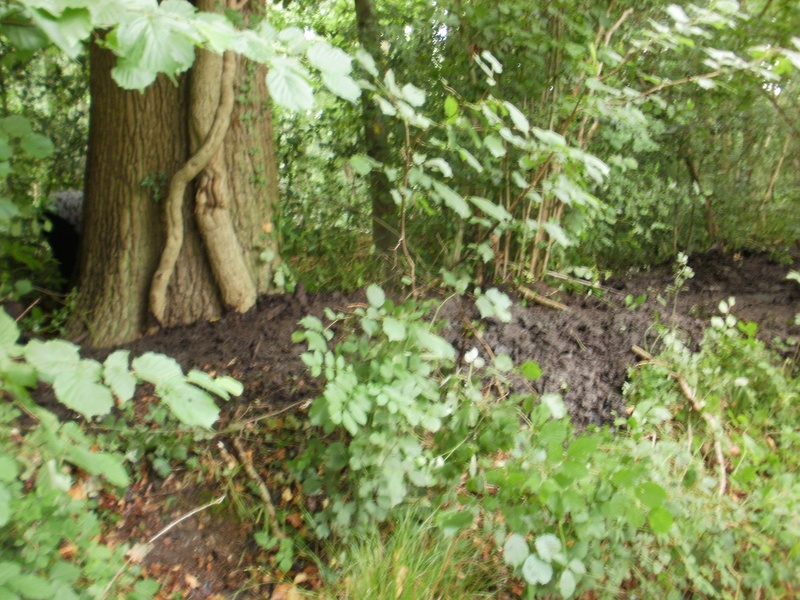 It was undertaking ditch clearing, and was scooping mud/debris out of a ditch one side of the footpath, and building a mound on the other side. 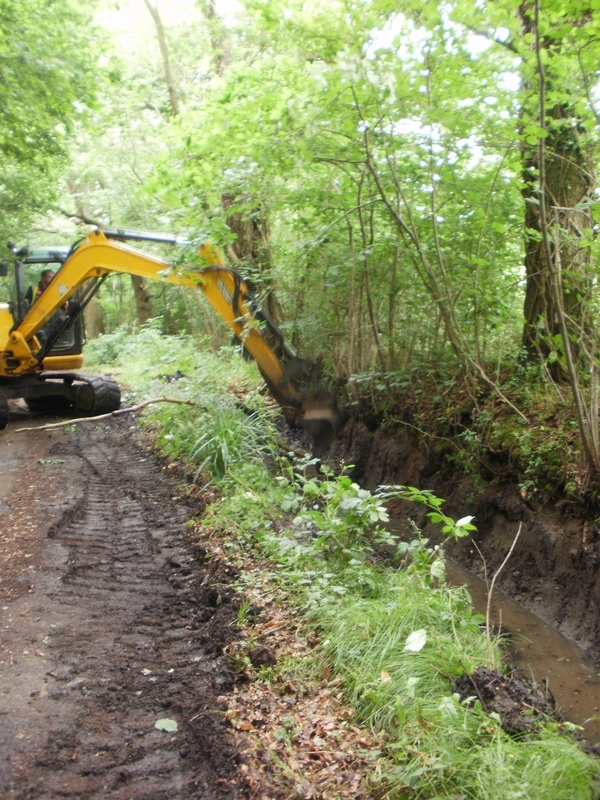 The dry, unrutted paths we had been following – were a quagmire…and somewhere near the JCB was a cache. We decided to have one quick look for it, and if it wasn’t found immediately we would move on. Fortunately the coordinates were spot on, and while the JCB driver was looking deep in the ditch, the log was signed. The path gave way to a tarmac road and some farmland fields. Each field had a stile leading to it, and the cache was near one of them. We fruitlessly searched each stile for our next cache, but to no avail. Our first DNF of the day. We even paused for lunch near one of the stiles, and undertook a second search after eating, but nothing was found. 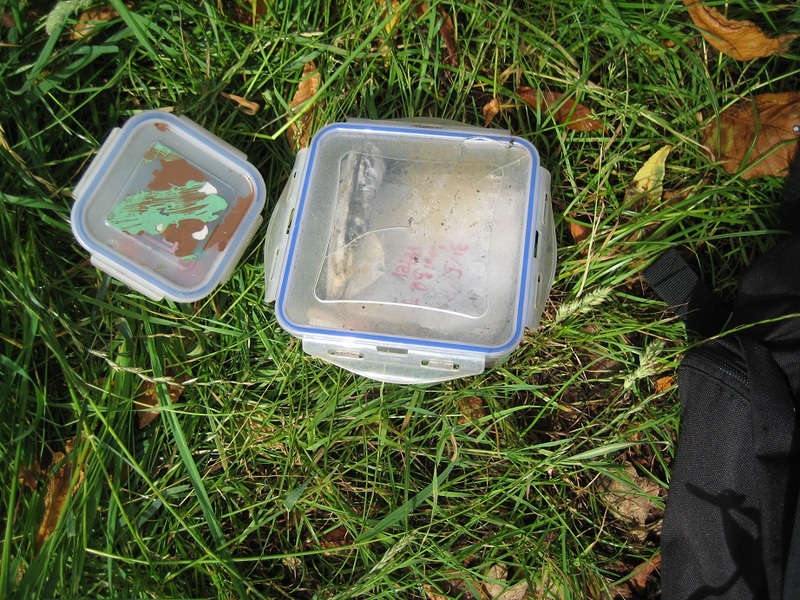 The cache containers on the route had been quite varied from small Tupperware boxes, to larger ones, a rat’s tail cache in a pipe, to a fake stone. 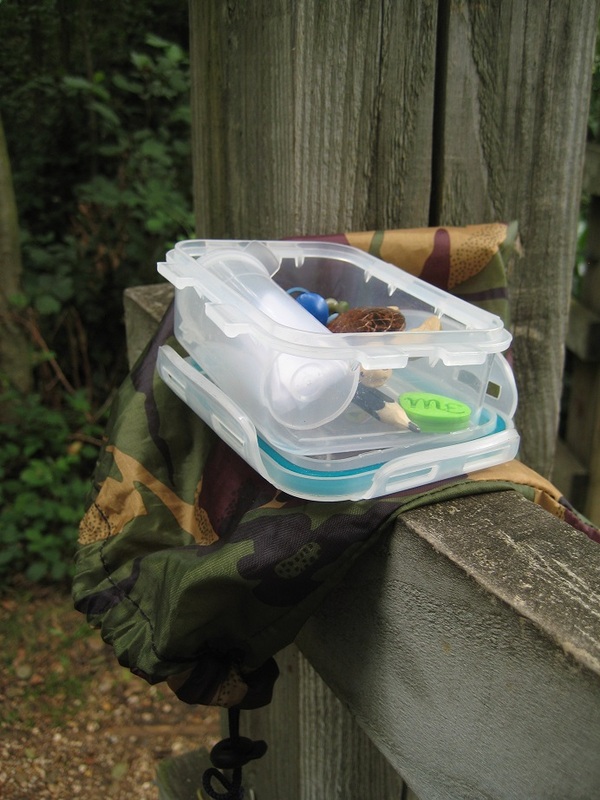 The final few containers included a film canister as well as a letterbox hybrid. For us, this is what makes a series interesting, a variety of containers, and a variety of hiding locations. The route finished by walking alongside some heathland. 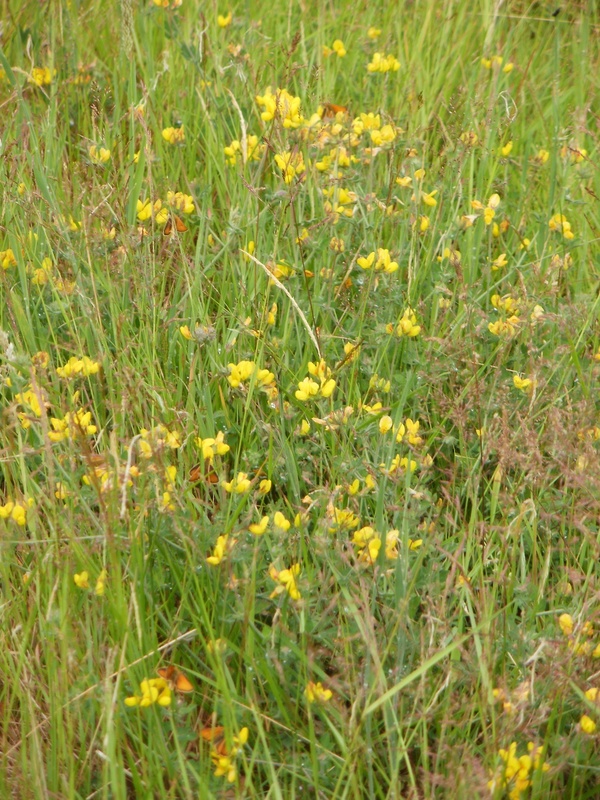 Before we reached our final caches we passed by some rangers from Hampshire and Isle of Wight Wildlife who were undertaking a survey on birds-foot-trefoil. We told them we were geocachers, which yielded no surprise whatsoever. We were glad we did as our next 2 finds were undertaken very close to their parked vehicles. I think the rangers may have seen us! 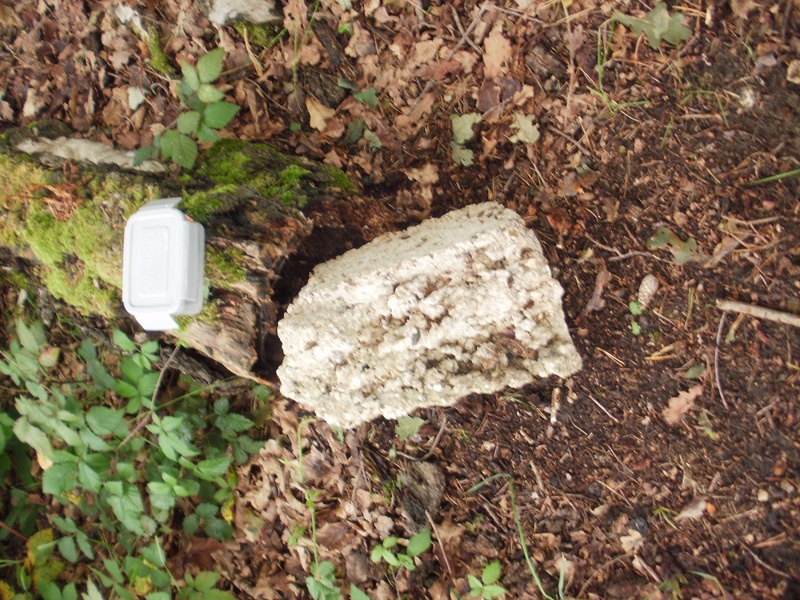 We returned to cache 1, and replaced the now-dry log back in the cache, and returned to the car. This was a very varied walk, heathland, expansive views, tree lined path, noisy motorways! Amazing what can be packed into a 4 mile walk! 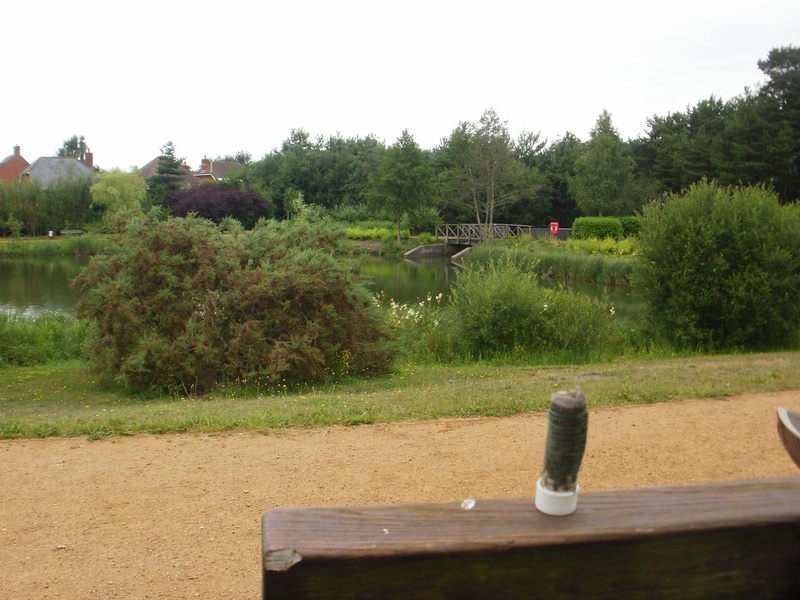 We’d also found 25 caches.. suddenly our 2000th cache is much nearer! December 23 – Another First-To-Find Attempt .. this time in Fleet! 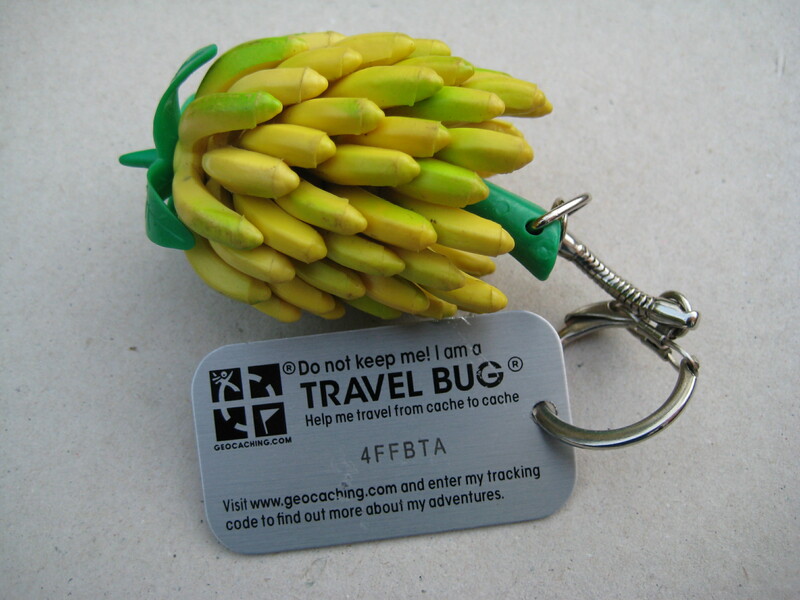 Our last geocaching sortie resulted in a failed ‘first-to-find’. Today there was an opportunity to redeem ourselves (well myself as Mrs Hg137 was working and I went solo). 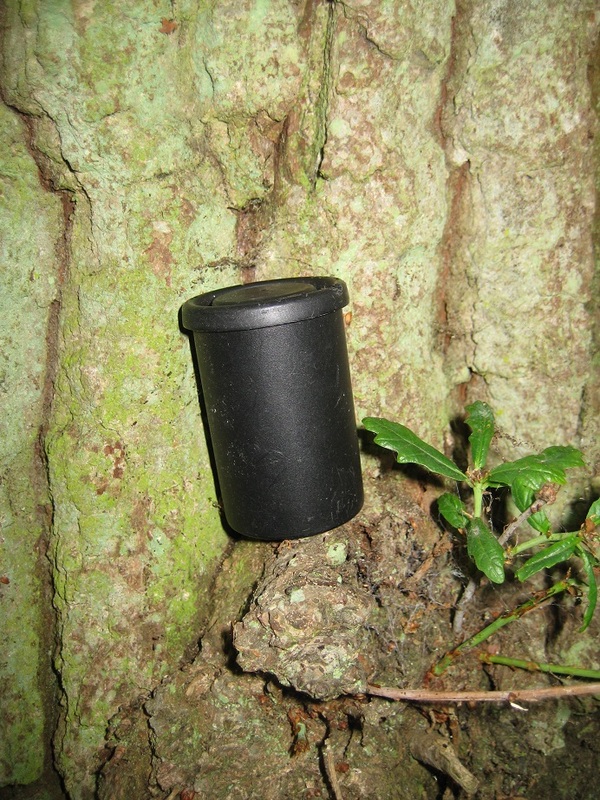 A couple of new caches had been published in Fleet, and overnight one called “MIND YOUR HEAD” had still not been found. It was, a little unusually, an offset multi where the published co-ordinates took you to one site, once there, a further set of numbers to take you to the real cache site. The first part took me to a bridge. A quick peer underneath this very muddy bridge yielded nothing. No obvious ‘mini-cache’ with some numbers on. After much pondering I decided to give up, and just as I returned to my car, two other cachers came along. They had tried yesterday and failed to get past the first part. 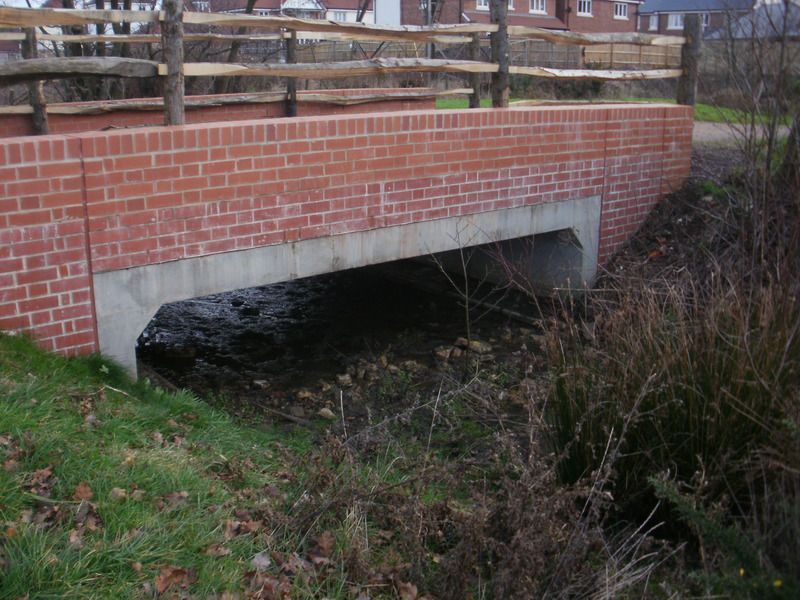 They explained that under the bridge was a sign saying “MIND YOUR HEAD” (in fairness I’d seen this, but hadn’t seen the tiny numbers on it). They had established these were not the final co-ordinates. The three of us looked harder at the sign. This involved crouching, for me at any rate quarter height, in a wet muddy stream and occasionally (euphemism for “often”) losing balance and landing in the brown goo. After much searching, and me getting wetter and wetter I gave up. At the point I did, one of the other cachers had found what turned out to be a crucial element (sorry guys..no spoilers). 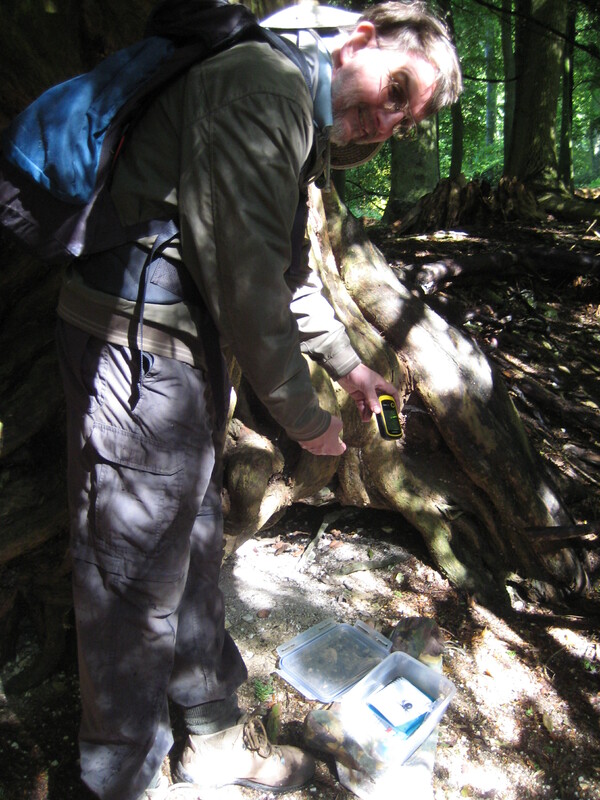 He went on to collect the final cache – well done The MadCacher007 for the First-to-Find and thanks for the tip-off on how to solve it next time. 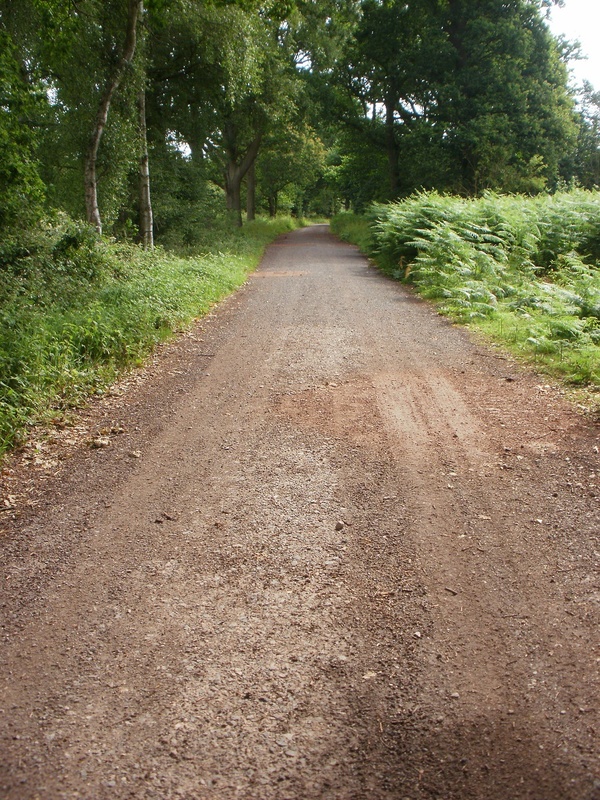 (When I say “next time”… it may be Mrs Hg137 I send into the muddy mire! ).